Goooood morning! Have you checked out the Creations Galore website lately? You can print coupons, see our store hours, discover new Make N Takes, and read about our featured products! Yes, FEATURED PRODUCTS! We change this section on the home page of our site every two weeks! Make sure to bookmark the page for all of these wonderful resources. Yesterday was the first of the month; therefore, we uploaded a new coupon and updated the product feature. 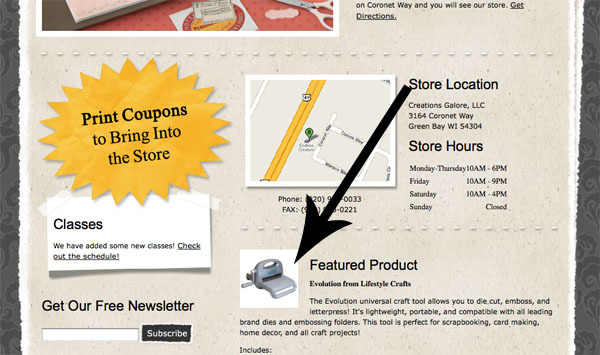 We couldn't wait to spotlight the newest tool from Lifestyle Crafts: THE EVOLUTION! At a recent event here at Creations Galore, customers were able to try out the Evolution. It was favored by all! You can see pictures of the event and the Evolution in action here. The tool is now available for purchase. It's a universal craft tool that allows you to die cut, emboss, and letterpress! 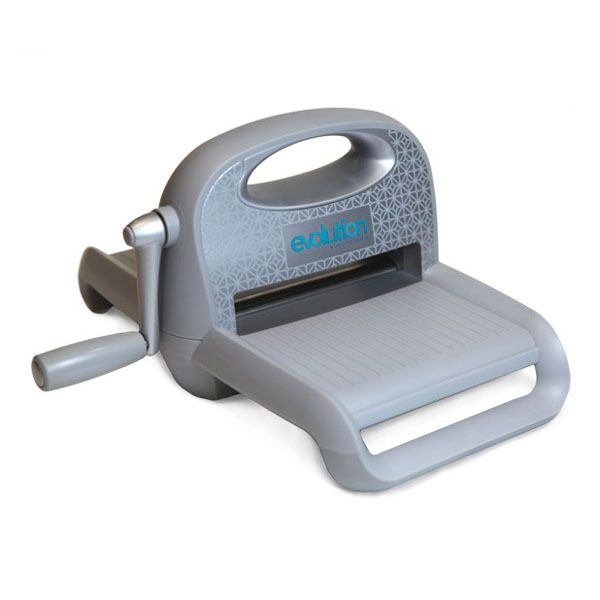 It's lightweight, portable, and compatible with all leading brand dies and embossing folders. This tool is perfect for scrapbooking, card making, home decor, and all craft projects! Stop into Creations Galore today and try out the machine for yourself! You can also purchase the tool in our online store by clicking on this link!